We all want to go crazy buying cards. 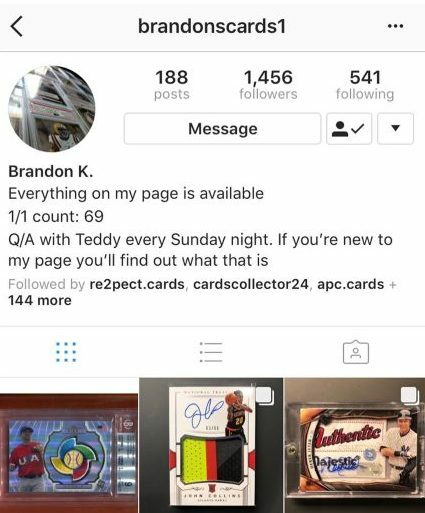 Instagram kid, brandonscards1, did just that, getting in over $120,000 in purchases. The only problem? It was his parents money. According to Blowout Cards Forum, brandonscards1's Dad is GE Chief Investment Officer, Aris Kekedjian. Hopefully Pops takes some time to school his son about discipline investing. Appears as though the parents will bail out the kid by selling off the cards and absorbing any financial hit. Here is some of the stuff he allegedly bought and his last mea culpa before his eBay and Instagram account were shut down.